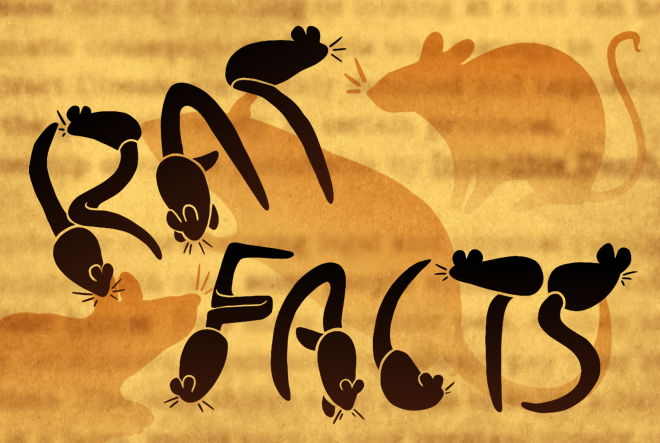 Rat Facts is a short zine about everyone's favorite rodent. Everybody's wondered it at least once in their lifetime: What are rats, and why are they here? Wonder no more. Here is an informative pamphlet filled to the brim with the most accurate, the least fraudulent, and DEFINITELY not completely nonsensical facts about rats. All the information you need to know about rats, stuffed inside one little book!